Our little guests have arrived! A Monarch Waystation is an intentionally-managed garden that provides food and habitat for the struggling Monarch butterfly population. ​Site – Site should have full sun at least six hours a day and good drainage. Invasive or exotic nonnative plants or aggressive native plants should be removed prior to planting. If applying for a BBMT grant the site must have public access. Nectar Plants – Plant mix should be pesticide free native plants. Garden should include a variety of native nectar plants blooming at least three seasons a year with special emphasis on fall blooming plants. Milkweed – Garden should include a fair ratio (1:3 - 1:6) of native, pesticide free, milkweed plants to nectar plants indigenous to the local area. Milkweeds should have some protection from predators and full sun by pairing with companion plantings. Water – A hand watering schedule should be in place or irrigation with timers set to local restrictions. The garden should be watered regularly to establish the plants. After one to two years the watering schedule can be considerably less. Care should be taken not to over water. Maintenance – Garden should be free of weeds and be spread with a soft mulch to retain moisture and resist weed growth. There should be a consistent work force scheduled for maintenance. Plant specific care should be noted and considered. Signage – Designating the area as a Monarch Waystation or Monarch demonstration garden present is important. Monarch life cycle or migration are good concepts for interpretative signage. 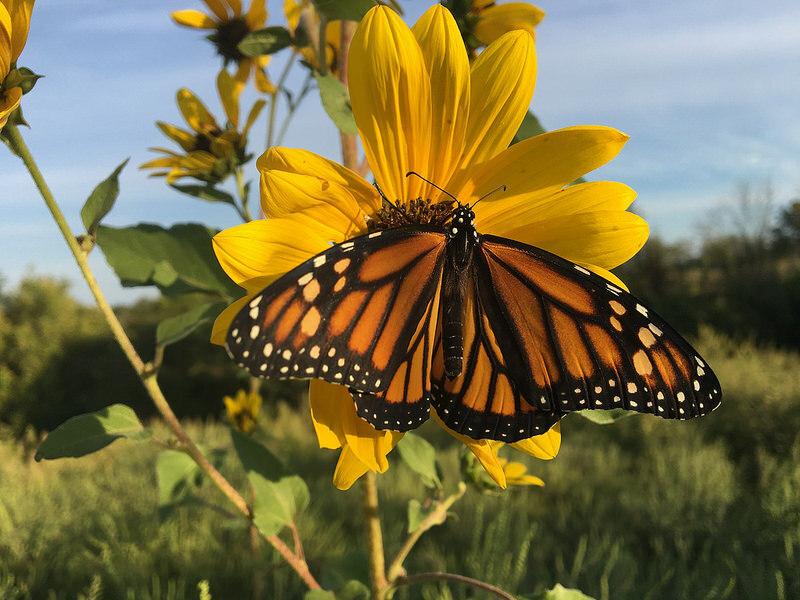 Educational Programs/ Events – Educational programs, events or classes being held in the garden enhance public understanding of the plight of the Monarch and of ways to help the species.